J'vel looks remarkably well for his age. He might walk with a bit of a stoop these days, and he's lost a couple inches on the height he once had, but still he's doing pretty well. His face is oval, and heavily lined, though his blue eyes are as bright as ever. He's managed to keep almost all of his hair, though it's all white now; his eyebrows still retain some steely gray, but those too are mostly white, as well as quite impressively bushy. He mostly wears simple clothing, though he has a penchant for scarves of bright colors. Unfortunately, the climate of Semaca doesn't lend itself well to wearing those, so he makes do with occasional bright shirts instead. J'vel is a rather jolly fellow, quick with a smile or a laugh. To look at him, one would never guess he'd lived through—and fought in—the entirety of a war. He's fond of bad jokes, and enjoys the finer things in life: warmth, sunshine, peace, and good wine. Especially a good Benden vintage, though he doesn't drink it so much as he does slowly savor it. Despite knowing his time left is limited, he doesn't seem to be in a hurry to experience things. He's happy with a slow, sedate pace nowadays. He's quite a chatty man, happy to tell stories for hours with a cup of mulled cider in his hands. The one thing he refuses to speak about is his time in the war, but anything else seems to be fair game, and he loves questions. It makes him feel like his story is actually worth listening to. He's done with politics. He might have involved himself and Amaterath in them once, but he's sworn that off. It only leads to trouble and heartbreak. It's just not worth the effort and broken relationships to try to take a stand on something that doesn't really matter on the long run. TW: Death, violence... it's a war for goodness' sake. Janovel was born in a time of peace, before Pern ever knew war. His parents were a pair of crafters, busy with their work and somehow still finding time to spend with their son and his two siblings. Like most Weyrbrats, he grew up dreaming of impressing a dragon. To him, Thread was a far-off danger, not due for over half a century. Riders were keepers of the peace, arbiters of disputes, the ones who went to help in a disaster. They were honorable, and he wanted to be one. 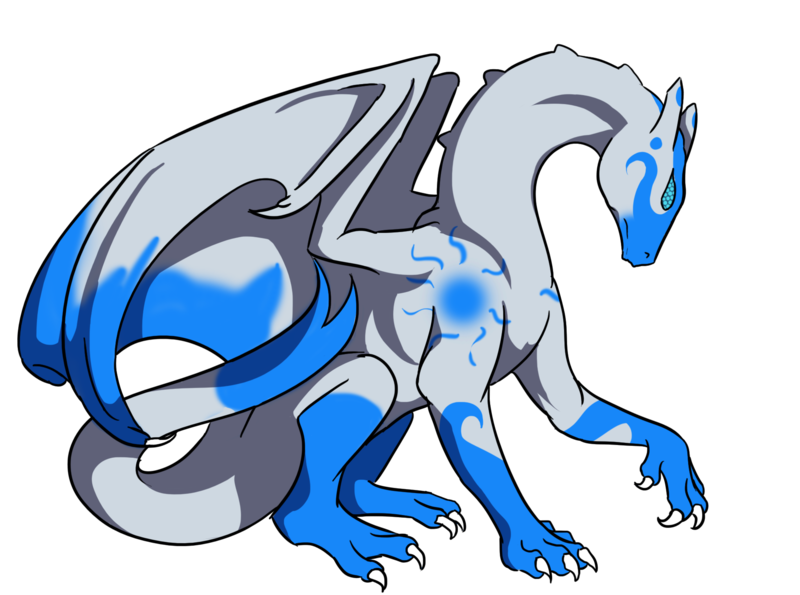 He stood as soon as he was able, and he was still a kid—not quite sixteen—when an enormous, silvery-blue egg hatched, revealing a blue dragon much the same color. The dragon inside charged around, attacking a couple of Candidates before throwing herself at Janovel, pinning him to the ground. You! There! J'vel, you! In all these useless others, I have found you! Now get up! I am cold and wet. I am hungry, and I need a bath! Get up! Am I not the prettiest blue you have ever seen? The best of them, you know. Ugh, my despicable brother is here. He is a stupid thing. Why are you still on the ground? Get up! Needless to say, J'vel and Amaterath did not initially get along. J'vel was cheerful, practical. Amaterath was combative, selfish and irritable—and she had a special sort of hatred for one of her brothers. She was annoyed by his cheer; he was annoyed by her attitude. The two of them warred almost constantly through Weyrlinghood, and it continued when they graduated to full members of a wing. They gained a reputation for being difficult to deal with, as they spent so much of their time arguing with each other. They argued with other dragons, as well. Some saw it as a flaw that Amaterath was female; she saw it as a flaw that anyone would think that, and often threatened to bite those who said it. These threats were carried out once, when she was still small, and after that were sufficient to shut most people up around her. This went on for Turns. They occasionally joked that they wouldn't even make it to see their first Threadfall in fifty Turns' time, because they would have murdered each other before then. But threats shift. War came, and with it the need to fight. And fight they did, J'vel somewhat reluctantly and Amaterath with relish. She would destroy her enemies, and all who thought to oppose her should think again. One raid brought near disaster. J'vel and Amaterath had largely managed to avoid too much trouble during raids, but they eventually tangled with a much larger bronze and his rider. Amaterath was bitten and clawed, but the far greater danger was in J'vel's straps being severed by the bronzerider. He clung to her neck ridges as she somehow managed to defeat the bronze, though at a cost: the pair crash-landed soon after, and J'vel was thrown into a nearby rock. It was a miracle either survived. 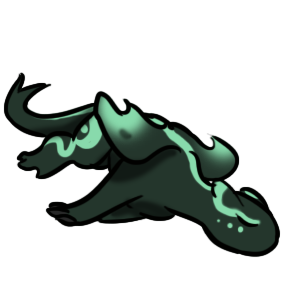 J'vel had broken several bones in the crash, and Amaterath had been gouged from the base of her tail to just behind her forelegs, and had several other cuts and bite marks besides. They grew more cautious after they slowly recovered, and much as both hated to admit it, they came to realize just how much they needed each other. Not that it would keep them from bickering, but it was more good-natured after, with less of an undercurrent of hate. There was one brief, bright spot during the war: J'vel fathered a child with Kina of White Ralaarth. Norae was his first child, and only daughter, and he doted on her whenever he had time. That, unfortunately, wasn't particularly often. But Kina transferred away, and he suspected his daughter blamed him for that, for they were never close after. After many, many Turns of conflict, and several more brushes with near-death, the war ended. Though it was really only traded for a different sort of war, one with an enemy that didn't particularly care about those it terrorized but simply was: Thread. And though the pair were, by then, rather getting on in Turns, they didn't let it stop them doing what every rider during a pass is meant to do. But that could only continue so long. J'vel knew he was slowing down a bit, that he couldn't quite react as fast as he once did. That Amaterath's turns were more ponderous, and that trying to accelerate with the same speed the pair once had wasn't going to work out. But it wasn't until they had to be saved by another pair who nearly died doing it that J'vel and Amaterath finally had to come to terms with the fact that they were just too old to keep flying Thread any more. They simply couldn't keep up. Retirement rather agreed with J'vel. He learned to cook, and picked up knitting of all things. Amaterath made fun of him for that. Still, he felt largely useless. He kept his nose far, far out of the politics of Fort, but even he had to admit that things were moving in a rather worrisome direction. The last thing he wanted was to be pulled into a war. Again. So when he learned of the opportunity to transfer to Semaca, well, how could he help but take it? Has reconnected with his granddaughter, Noor of Bronze Nuunieth. There's rather less resentment here than either probably expected. Amaterath is a giant blue. Absolutely a stunning creature. She is tall with massive sail-like wings. She is built solid and muscular, almost like a canine instead of a dragon. Her form is built for stamina instead of speed. Her legs are built like pillars, and her hindquarters are solid muscle. Her bonded will have to be sure that she eats properly, as she will be prone to burning more calories than she takes in. Amaterath is a light, silvery-blue color. Her points are a bright, brilliant blue over her forelegs and back feet. On her forearms, the brighter color ends in lovely little swirls. Her face is marked with a swirl pattern, with two dots behind her eyes. The brighter blue is on her wings as well. Her shoulders are marked with sunspots and warm rays. Bold and proud, Amaterath speaks in cheerful, strong tones with no hint of her insecurities. Amaterath is a headstrong and vain blue. She believes she is beautiful and no one should tell her otherwise. She is very passionate, and an overall warm creature, though she is prone to extreme fits of jealousy if someone tries to take away her bonded. Only constant assurances that she will not be left alone or abandoned will help her as she grows and matures. Amaterath is prone to fighting with one of her brothers, the two of them arguing frequently. To her bonded, Amaterath will try to make sure they are as happy as she is. While not violent by nature, she will do everything in her power to protect them, even attacking her siblings if they push her too far. She will want them to be strong and sure rather than second-guessing, and she will do anything to make that happen. The largest egg in the clutch. 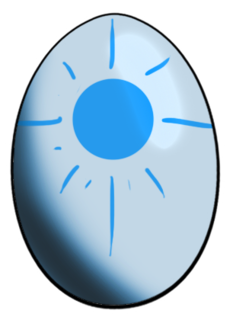 This egg stands perfectly upright, its surface shining especially in the light. It is a pale blue color, with a large blue spot on the front of it, appearing to be a large sunburst over the surface.